A major labour union federation, Change to Win has endorsed Barack Obama. Their six million members, muscle and money may be enough to clinch the Democratic nomination for Obama. That is certainly their stated objective. Citing his promise to re-negotiate the North American Free Trade Agreement (NAFTA) and saying that it is time for the race for the Democratic presidential nomination to end, the seven union, six million member Change to Win federation, on Feb. 21, endorsed Sen. Barack Obama. In a telephone conference with reporters, CtW Chair Anna Burger said the federation acted now, essentially, to push Obama to wins in the coming primaries, including Texas and Ohio. “Obama’s stands on trade, on achieving the American Dream and on the war in Iraq – he was against it even while in the Illinois state senate before entering the U.S. Senate – really resonated with our members,” Burger continued. The CtW endorsement means that four of its seven unions – SEIU, UFCW, Teamsters and UNITE HERE – are joining forces now to make phone calls, leaflet and canvass in the upcoming primary states. The Laborers and Carpenters have yet to complete their internal canvassing while the seventh CtW union, the Farmworkers, endorsed Clinton. “But they’re comfortable with our decision,” Burger said. Ohio, Rhode Island and Texas vote March 4. Pennsylvania votes April 22. The biggest impact of the CtW endorsement may be in Ohio where Burger said CtW already has staffers on the ground and where member unions are mobilizing in different cities. CtW unions have 175,000 members in Ohio and Burger said the federation intends to get 110,000 votes for Obama out of that total. CtW unions have 60,000 members in Texas and 20,000 in Rhode Island. Change to Win's endorsement is no surprise as one its major constituents, the Service Employees International Union came out for Obama last week. 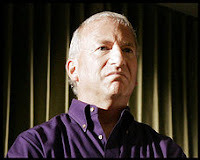 SEIU president Andy Stern founded Change to Win in 2005 and is considered a leader of the federation. Change to Win's declaration for Obama follows a pattern of strategic endorsements by leftist politicians and unions-many connected in some way to Democratic Socialists of America. Change to Win's seven constituent unions are not all leftist controlled, but two members of the organisation's governing council have links to DSA-particularly the Chicago Branch that was so helpful to the young Barack Obama. Andy Stern leads the SEIU in conjunction with two DSA affiliated vice-presidents, Eliseo Medina and Gerry Hudson. Stern worked closely with DSA founder Michael Harrington in his early career. Stern also trained at the DSA founded Midwest Academy in Chicago, which was formed by former Students for a Democratic Society radicals Paul and Heather Booth, to train militant community organisers and union officials. Heather and Paul Booth were regular sponosors of the Chicago Debs dinners in the late 1970s. The Debs Dinners were then organised by the Democratic Socialist Organising Committee, which in 1982 became Democratic Socialists of America. Heather Booth was honoured for her work at the 1987 Debs Dinner. Steve Max, associate director the Midwest Academy is a DSA Vice-Chair, while current executive director Jackie Kendall is a close associate and probable member. Bruce Raynor, President of UNITE has more direct ties to Chicago DSA. Chicago DSA New Ground of May June 1999 carries this report of that years Debs Dinner. Jackie Kendall, Heather Booth and Bruce Raynor all get a mention as does key Barack Obama supporter, Congresswoman Jan Schakowsky. The 41st Annual Eugene V. Debs - Norman Thomas - Michael Harrington Dinner was held on May 7th at the Holiday Inn City Centre. It was a resounding success. The Program Book, 40 pages of congratulations to Awardees Jackie Kendall of the Midwest Academy and James Tribble of UNITE, was a record. First presenter was past Awardee, Heather Booth, founder of Midwest Academy. Heather spoke of Jackie Kendall's organizational ability, and how she inspired people to live up to their potential by giving them confidence in themselves. Jackie will go anywhere to help an organization draw up programs and help facilitate them. With Congressperson Jan Schakowsky who was in attendance, she fought for, and got, consumers the right to know the freshness of their food by having dates put on all perishable items. The presenter of the Award to James Tribble was UNITE's secretary - treasurer, Bruce Raynor. Bruce Raynor established a great record of militant organizing in the South and is likely to be the next President of UNITE. Raynor spoke of Jim Tribble's leadership on the front lines in organizing and negotiating, and his contributions at the International Board meetings of UNITE by being a union man who spoke his mind. Bruce Raynor also presented the Debs award to union activist Lynn Talbot at Chicago DSA's 2004 Debs Dinner. When it comes to Barack Obama, all roads seem to lead back to Chicago Democratic Socialists of America. would you prefer US leftists follow the anarchist model and declare the elections are a fraud between two corporate parties and not vote and organise for change instead? why do you care if some commies like obama? some oil men like hillary, obama and the republicans, don't see you writing about that. you want to do an article about who is funding hillary or supporting the republicans? I aim for the truth anon-that's all that concerns me. Plenty of others are focusing on Hillary and the Republicans and good luck to them. If you can point me to some evidence that McCain has a long history of involvement with Marxists, I'll print that too. Many people have already exposed Hillary on that score. My biggest fear is for Obama's safety. Although I can rabidly disagree with him on all sorts of his domestic policies such as universial healthcare and the CPUSA/Cuban Communist endorsement of him. I still think Obama's going to be a target for the very same Islamo-Fascist terrorists which he wishes to talk with their sponsors in Syria and Iran. It's quite a taboo for a Muslim male to convert from Islam to being a Christian as there have been reports of Muslim men who have converted themselves to become Christians have been killed in the most brutal fashion. I think Obama and his supporters are quite clueless about radical Islam and its taboos. They well might just be heading into a trap, and I don't like it one bit. I got here from Cliff Kincaid's article at aim.org; not many folks in the States are exposing Obama's socialist ties. I call Obama the Marxist Socialist vs. Hilary the National Socialist. What the media talks about here is the first black president instead of the first marxist president. RE MAH - Obama safety - he has secret service protection, but it wouldn't be white supremacy he needs to be wary of, just the Clintonistas - he needs to watch how he flies, that's how most people got murdered during the Clintonista Rein Of Terror. Obama is not a socialist or even close to it. Both democratic candidates are funded by elitest, capitalist, and in general huge corporations. They don't care about the worker or the exploited masses in the U.S. or around the globe. Obama is pro "free-trade" he just says he will like them to come with worker rights and what not, but this is just to sweeten the bitter pill that is "free-trade". The U.S. is an elitest country ran by capitalist who begin wars and occupy foreign nations in the name of profit. They do this economically, politically, culturally, and militarily. But then again it's not just the U.S., its the whole capitalist world that functions on that model.